Celebrate better weather! All stores open for business. We’re very grateful that Hurricane Matthew missed us here in South Florida. All of our locations are open for business as of 12pm today, Friday, October 7th. Stop in and help us celebrate better weather! 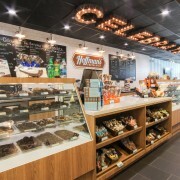 http://www.hoffmanschocolateblog.com/wp-content/uploads/2016/04/hollywood.jpg 1000 1500 admin http://www.hoffmanschocolateblog.com/wp-content/uploads/2016/03/blog-logo-300x138.png admin2016-10-07 15:54:502016-10-07 15:54:50Celebrate better weather! All stores open for business.